Read our latest case study about J.A. King’s help with Glaucoma research at a major research university. The solution provided by J.A. King was able to advance research specifically relating to the force required to dispense eye drops from bottles. 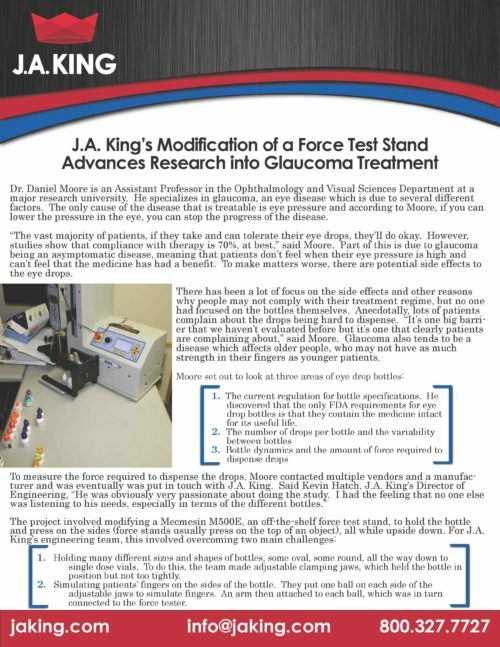 Read the full case study: Modification of a Force Test Stand Advances Research into Glaucoma or click on the link below to contact a J.A. King team member to learn more.